Mums-to-be will be offered vital protection against the flu this winter when they attend hospital appointments. A team of hospital midwives have become the first in Hull to be trained in administering the flu vaccine which will be offered to women when they attend hospital antenatal checks at Hull Women and Children’s Hospital. With around 5,500 births in Hull every year, pregnant women are particularly susceptible to flu which can cause miscarriage in the early stage or stillbirth in the later stages of pregnancy. Some women who already received the flu vaccine earlier this year will require a second vaccination now to ensure they are covered for the most current strain. 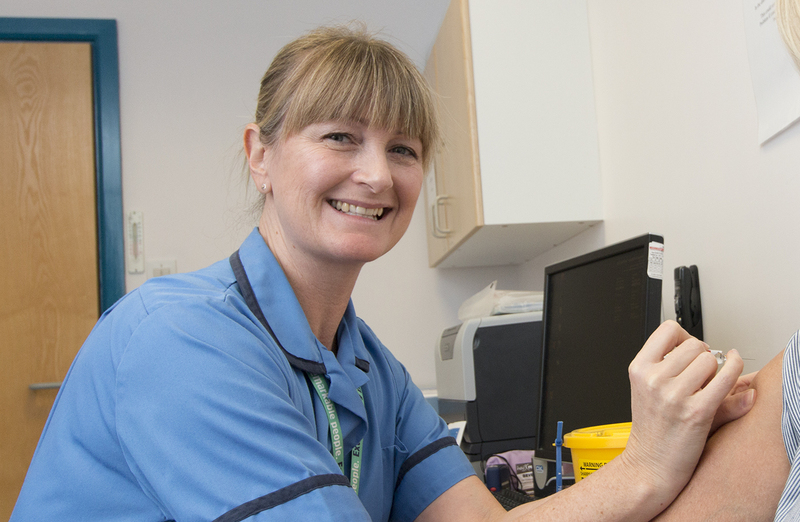 Caroline Clark, healthy lifestyles midwife at Hull University Teaching Hospitals NHS Trust, said the 10 midwives trained to administer the vaccine were offering women the chance to protect themselves and their babies. She said: “Flu can make pregnant women really unwell and they are more susceptible because their immune systems are more suppressed in pregnancy. “Women may not realise how serious flu can be in pregnancy. Studies have found links between flu and miscarriage in the early stages or early labour, resulting in premature births. There are also possible links to stillbirth. Women will still be able to receive the flu vaccine in the community or from their GP and midwives will signpost women there if they usually see their midwife at their local health centre or Children’s Centre. However, the 10 midwives have been trained to administer it to women at the hospital antenatal clinics or when they visit the hospital’s day unit for checks. Caroline Clark said pregnant women should be assured that receiving the flu vaccine poses no danger to them or their babies. She said: “There has not been a single reported case of harm caused to a baby by the vaccine since the programme of vaccinating pregnant women began in 2010. “While a minority of people may experience very mild flu-like symptoms after receiving the vaccine, this is not the flu as the vaccine does not contain a live virus. Instead, it is their body responding to the vaccine by producing the antibodies required to protect them against the flu. “And with pregnancy spanning 40 weeks of the year, some women will require a second vaccine, even if they received a flu jab earlier this year. There is no need to book an appointment for a flu vaccine as it will be offered to women attending hospital for already-booked appointments.